The clients had a very specific brief for this stained oak unit, an awkward space needed resolving. Chunky shelf edges help the ‘country’ theme carry through this piece. Especially the use of wicker baskets. 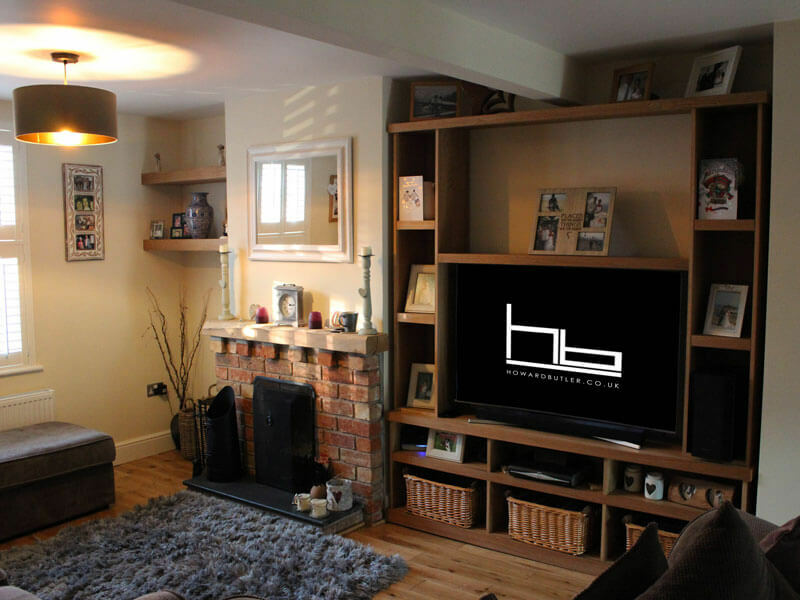 This unit fitted snug with space for desired photograph frames and the TV, all shelving was adjustable.